If you are a worried resident experiencing an aching tooth or inflamed gums in Monkton, you’re are not alone. About one third of U.S. adults are affected by tooth decay, according to the CDC, and gum disease plagues one in seven people age 35 to 40. Don’t ignore these symptoms, call Hereford Dental Health – Craig Longenecker DDS today at 443-672-2548 for immediate treatment. At Hereford Dental Health – Craig Longenecker DDS we take gum disease seriously because left untreated it can lead to loss of bone and tissue that support the teeth. Gingivitis is a mild form of gum disease. You will know you have it if your gums bleed easily and look red and swollen. If this condition is not reversed it can lead to periodontitis. 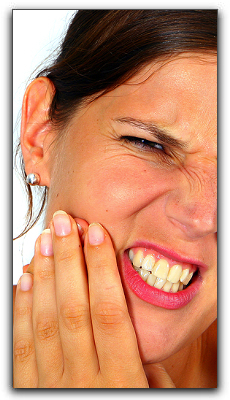 With this condition your gums become loose and separate from the teeth forming cavities that can become infected. This can spread to the bone supporting the tooth. If this is damaged, you will start to experience tooth loss. If you have already lost a tooth to gum disease, ask us about dental implants. At Hereford Dental Health – Craig Longenecker DDS we recommend daily brushing and flossing, along with regular dental cleanings to help combat gingivitis. Our team has been treating gum disease and other dental problems for Maryland patients since 1998. If you want your teeth to feel fresh and bright, come in for a cleaning and check-up. Don’t become a statistic. Prevent gingivitis by treating your teeth and gums in Monkton with the care they deserve. At Hereford Dental Health – Craig Longenecker DDS, our team offers quality general and cosmetic dental services including restorative dentistry, porcelain veneers, and dental implants. Take care of your beautiful smile by calling Hereford Dental Health – Craig Longenecker DDS today.